The San Francisco Giants are on pace to lose the most games in the 134 years of the franchise. Just three years removed from their third World Series title in five years, the Giants might be too old to make another championship run. The worst team in baseball, the Giants field the oldest group of position players in the National League. Despite all signs pointing to rebuilding, the team’s owners are against that idea and are committed to winning next season. One way to improve their major league roster is by trading for Miami Marlins slugger Giancarlo Stanton in the offseason. Owed $295 million over the next 10 seasons, Stanton is hitting .279 with 55 home runs and 117 RBIs. Besides his massive contract, Stanton can also opt out of the deal after 2020, making it even riskier for teams acquiring him. He’s also only played in more than 125 games in a season three times in his eight-year big league career. If the Giants take on the majority of Stanton’s contract, the package of players they’d have to trade the Marlins would be significantly less. Tyler Beede, RHP: The Giants No. 3-ranked prospect, Tyler Beede is major league ready and possesses a four-pitch mix, featuring a fastball, changeup, curveball and cutter. His fastball tops out at 97 mph. A former first-round pick out of Vanderbilt, Beede is a 6-foot-3, 215-pound right-hander. Beede went 6-7 with a 4.79 ERA and 83 strikeouts in 109 innings (19 starts) at Triple-A in 2017. The best pitching prospect in the Giants system, Beede has No. 2-starter potential, if he can improve his command. 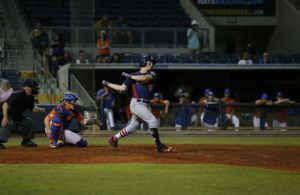 Bryan Reynolds, OF: Drafted in the second-round out of Vanderbilt in 2016, Bryan Reynolds has a chance to make his major league debut as early as 2018. Reynolds hit .312 with 10 home runs and 63 RBIs in 121 games at Class A-Advanced in 2017. 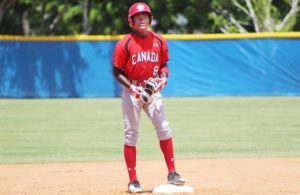 Known for his ability at the plate, Reynolds is a gap-to-gap switch hitter with average power. His best trait is his above-average speed. Denard Span, OF: A 10-year major league veteran, Denard Span is 33 years old and would give the Marlins a veteran option in the outfield. He’d be included in this deal to help offset some of Stanton’s massive contract. Span is owed at least $14 million in the next two seasons. Stanton is the game’s best power hitter, but his inability to stay healthy over his career and his ginormous contract, limit his value. 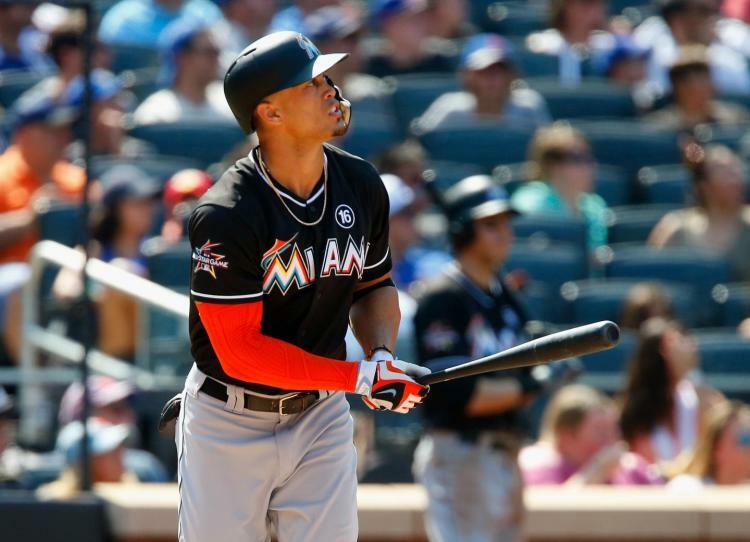 With a new ownership group getting ready to take over the Marlins and wanting to keep the team’s payroll around $100 million, Stanton is an obvious trade candidate. The Giants are desperate to add game-changing talent, as they try to return to the playoffs in 2018. 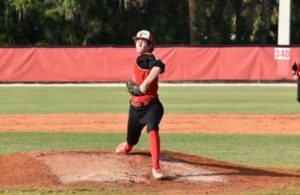 This is an offseason move that would place the Giants in the right direction, while the Marlins would save money and add young talent to their average farm system. 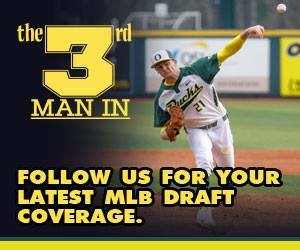 Find more MLB coverage, including in-depth MLB Draft coverage, here. Follow Dan Zielinski III on Twitter here. Easy pass for the Marlins. They can get a lot better prospects and they don’t want Span. The fan base backlash means they can’t just give them away for this offer. Has to be something like Bader, Lyons, Flaherty, Grichuk from STL. This doesn’t seem like a good trade for Stanton to me. I would trade Stanton to the Yanks for a package like Frazier, Sheffield, and Green at the minimum.The Marlins will need to pay down his salary to 26 million average per year.